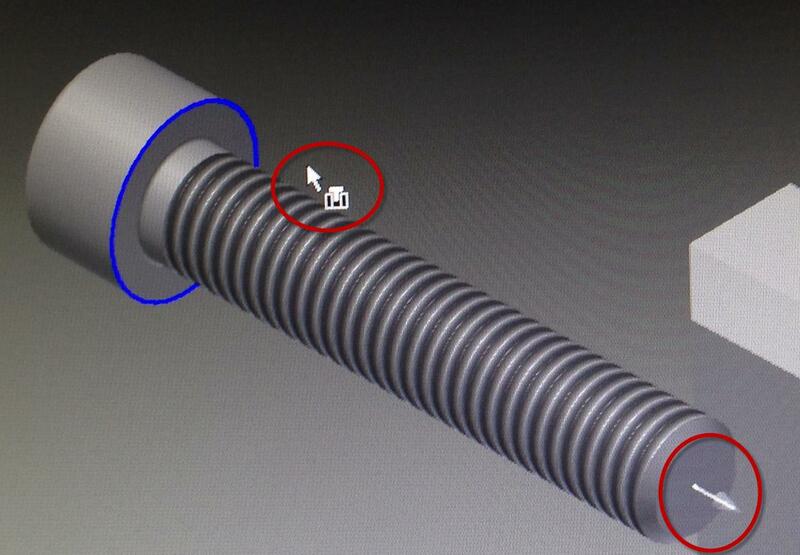 I’m always on the lookout for CAD tips that simplify my workflows when creating CAD models and drawings. Sometimes we learn these tips, use them for a while, and then forget all about them. For instance, this Inventor tip was shown to me by a co-worker many years ago and I forgot all about it until now. Did you know in an assembly, you can apply constraints on the fly without the “Constrain” tool/command? Let’s say you have a mounting plate where you need to place (insert constraint) the hardware as shown. Using the “Constrain” command; it would take about 17 steps (per mouse click) and roughly 28 seconds to complete. Constraining on the fly was accomplished in 15 seconds using only 5 steps. 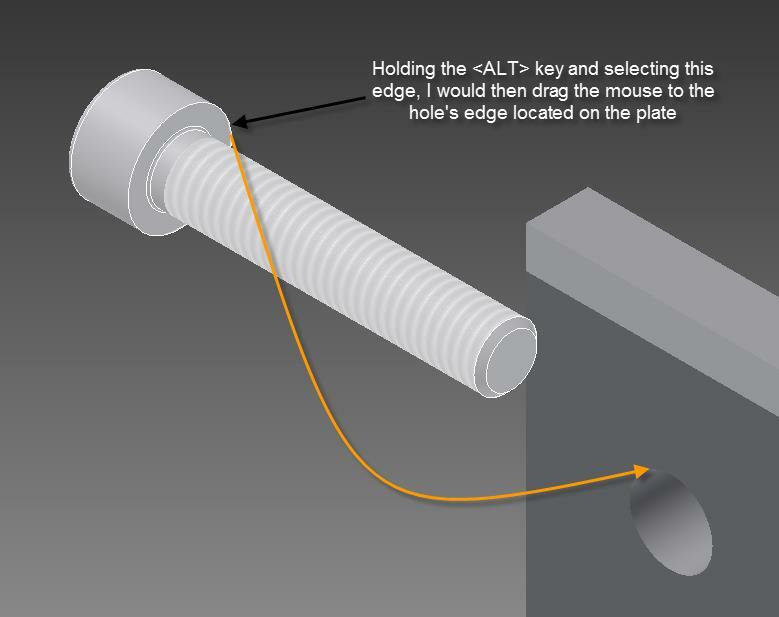 Constraining on the fly is accomplished by holding down the <ALT> key and selecting a face, surface, edge, etc. of the component that forms the constraint. Drag the mouse pointer to the other constraint (i.e. 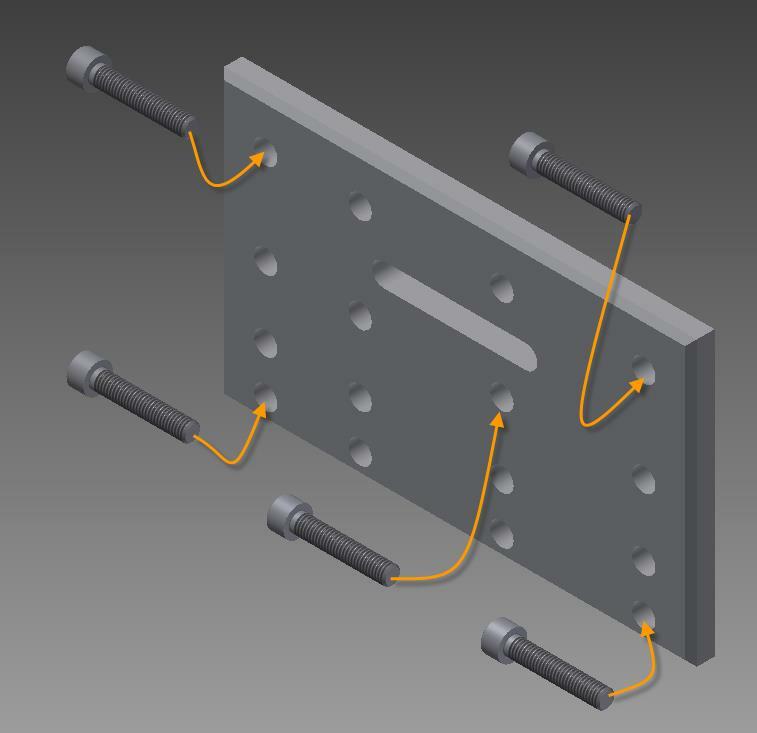 face, surface, edge, etc) in your assembly and when it can be satisfied, your component will jump (preview) to that location. Next let go of the mouse button to define the constraint. There are many different types of constraints. How do I know the correct (insert) constraint was selecting? Inventor is determining the best constraint option based on the face, surface, edge, etc. that I selected prior to performing the option. As I start dragging the mouse, the (insert) glyphs will appear indicating the constraint option that is being used. 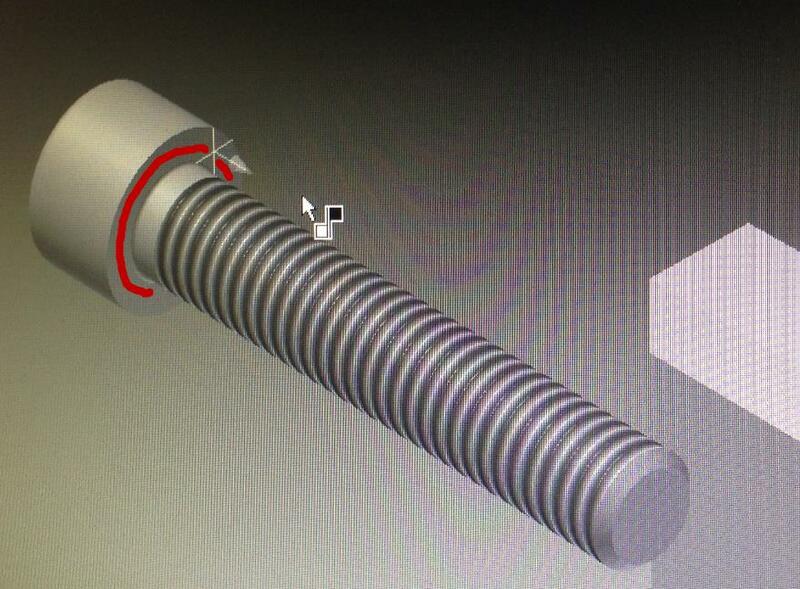 For example, if I selected anywhere on the bottom of the screw head (red outline) and started dragging, Inventor would select the “mate” (opposite face) constraint. However, I still have the ability to over-ride this constraint method if I chose too. Once the constraint glyph appears, the <ALT> key can be released. How can I over-ride the constrain method that was chosen? To over-ride the constraint, use one of the following keys (characters) to toggle to another constraint method prior to releasing the mouse button. For constraints with additional functions such as mate, where there is a mate (opposite faces) or flush option, the use of the <spacebar> will toggle the constraint function.